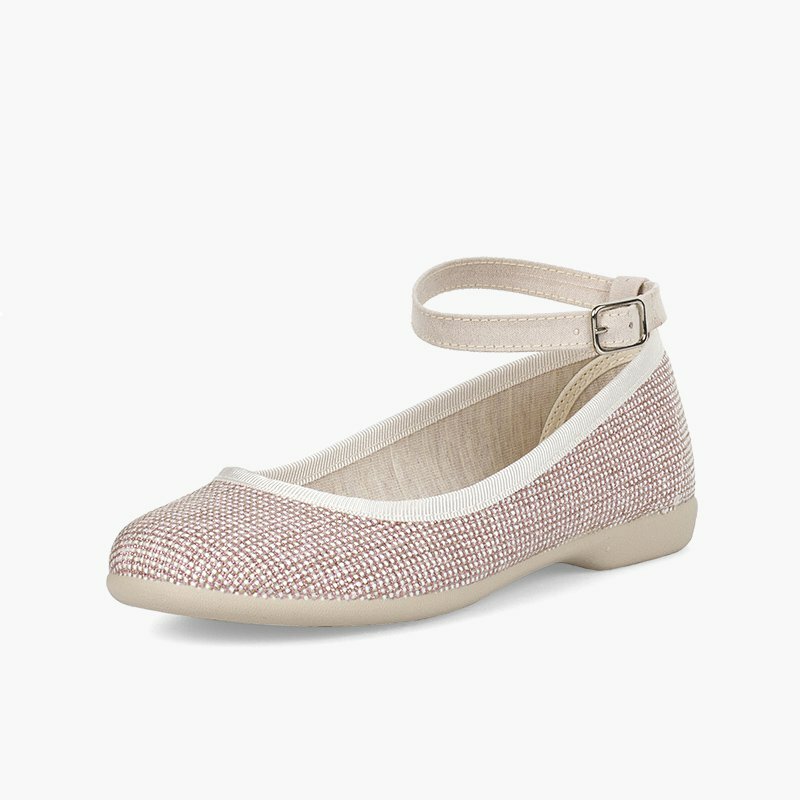 Have you seen these pretty girls' ballet flats for spring-summer? They're sure to win your little one over instantly! 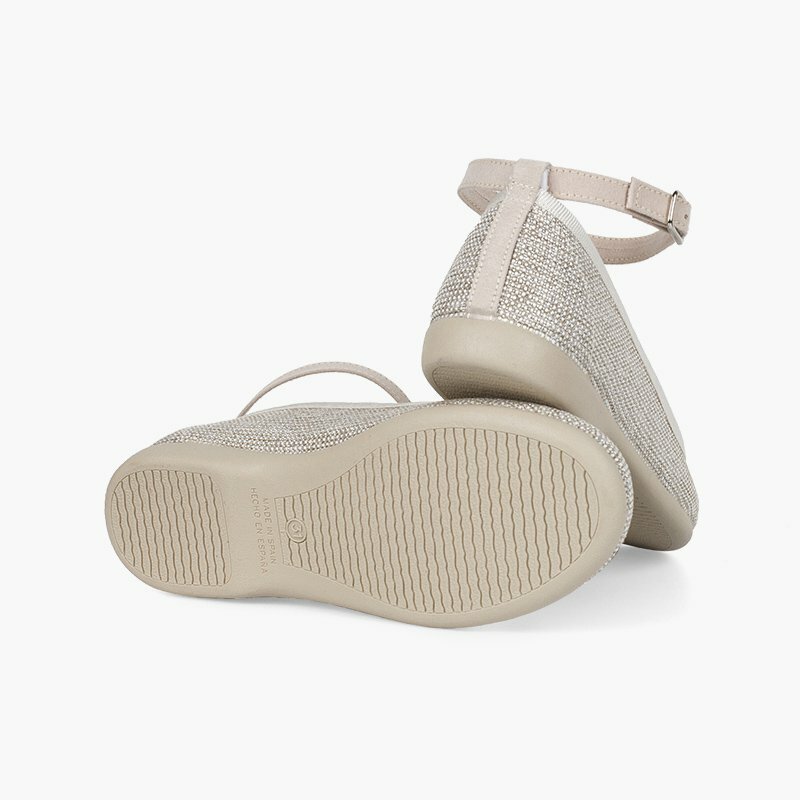 And they're beautiful, cool and super comfortable! 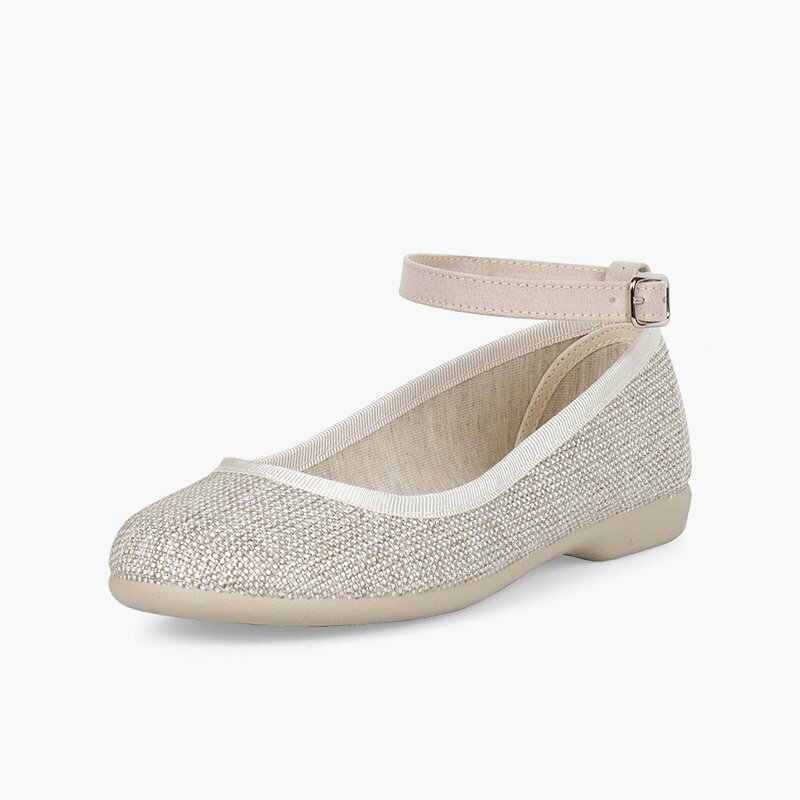 Ballet flats with buckle closure, made of an original sparkly fabric that will make your daughter shine when she wears them, while giving you peace of mind because her feet are protected by high quality children's footwear! 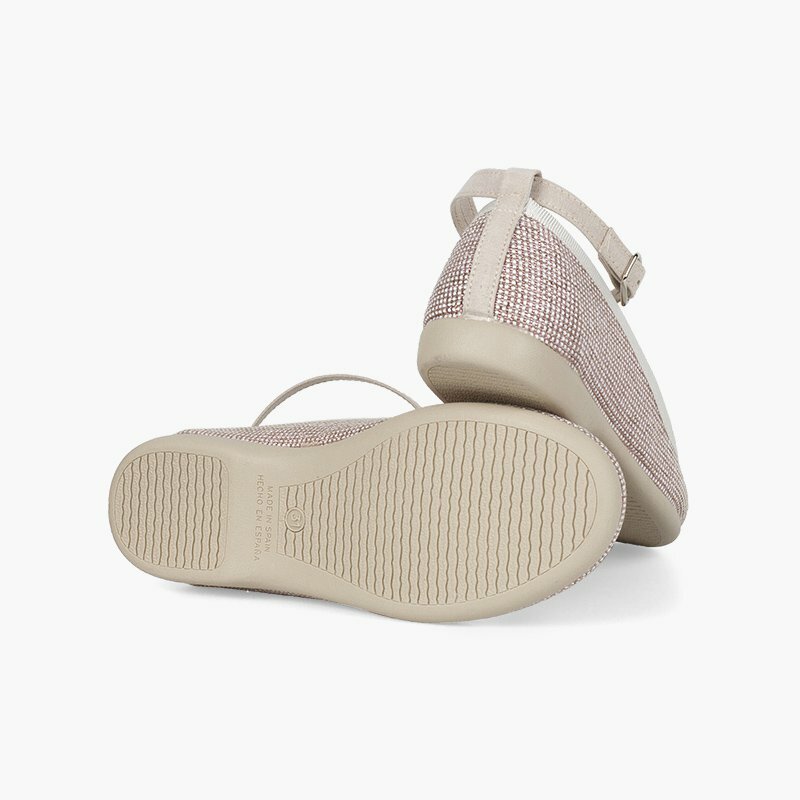 The ankle bracelet ensures that the ankle is supported with each step, whist the soft interior lining keeps the foot dry on even the hottest days. 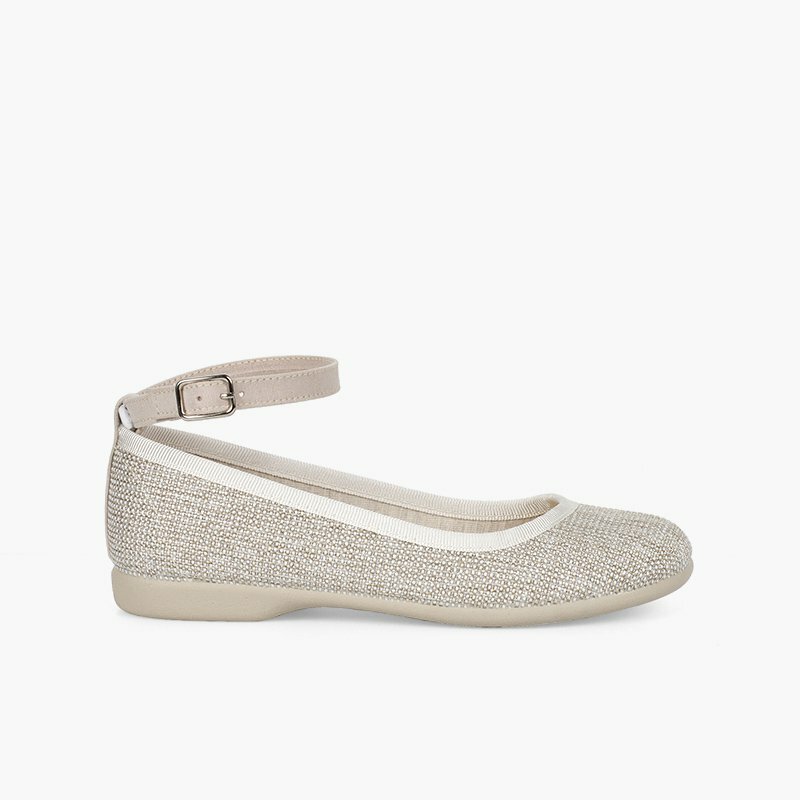 And if you want to turn them into a classic pair of ballet flats? Then you only need to remove the strap; it can be put on and taken off in a second! The result? 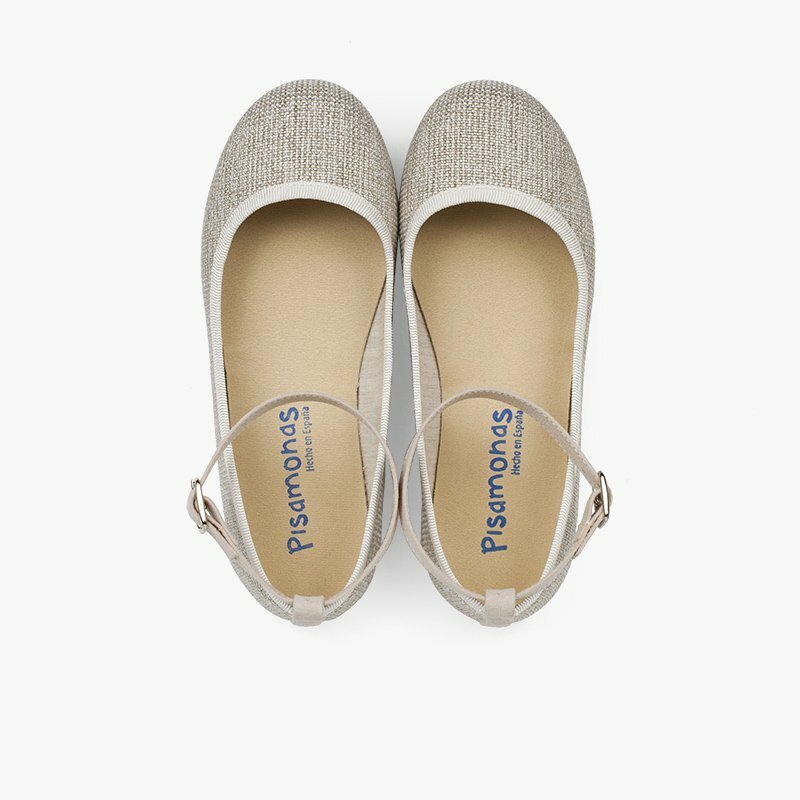 Two pairs of ballet flats in one! You can wear them one way or the other depending on the occasion. 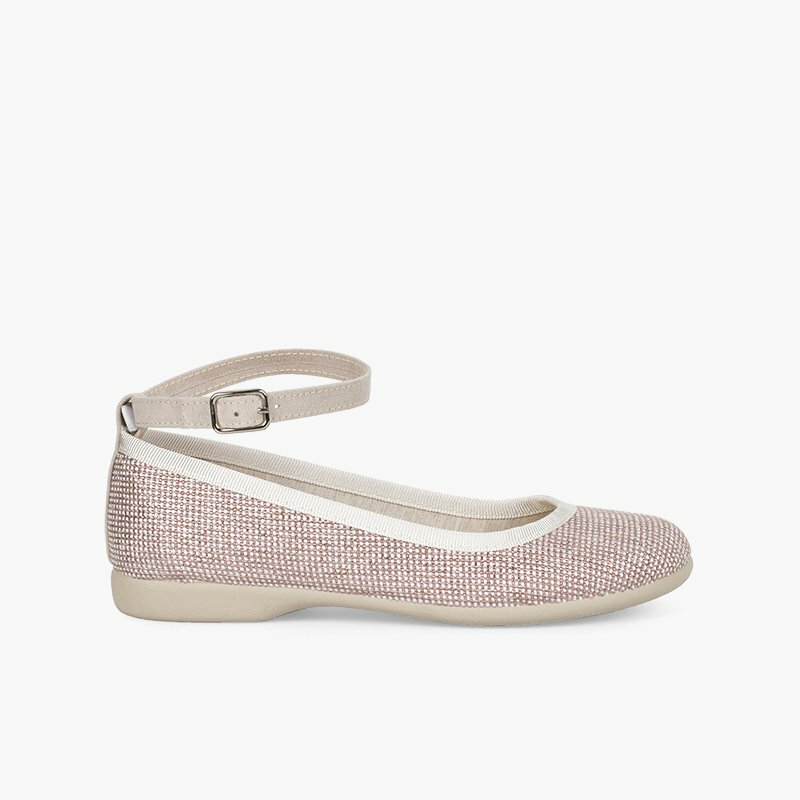 Available in two spring shades, beige and pink, both on an ecru base. They will make a super charming accessory for your little one's brightest looks; pair them with skirts, dresses, dungarees, pinafores, trousers... they go with everything! 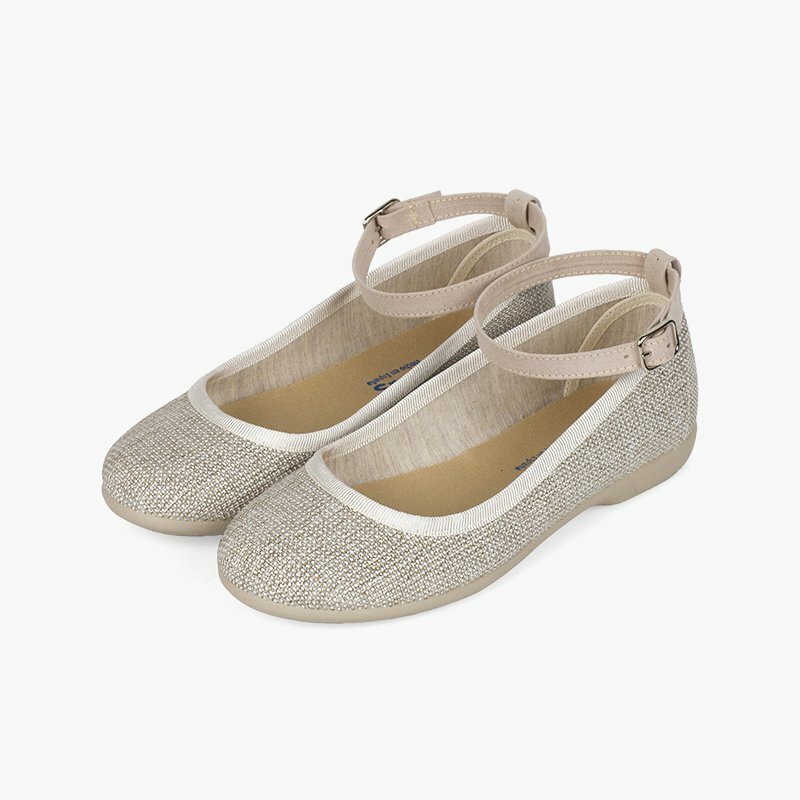 With a wide range of sizes from 26 to 38, this super fashionable, sparkly pair of ballet flats can be enjoyed by not only the little ones of the house, but mums too! Perfect for a mummy & me look that continues to be one of the top trends season after season! 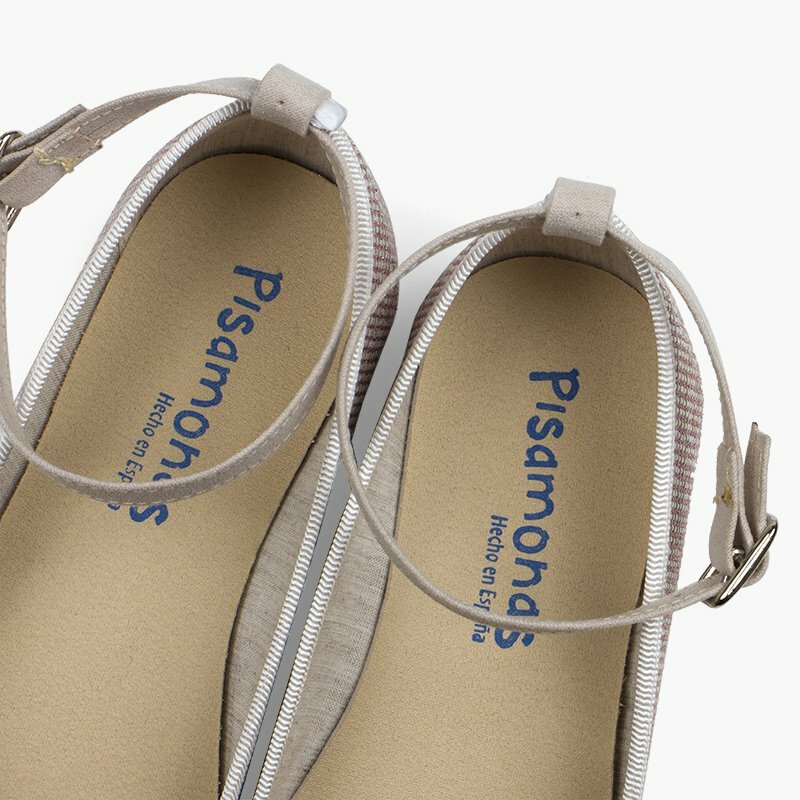 Pisamonas have the best shoes for children and adults alike, and always with free shipping, exchanges and returns! I can slip it on when I go out to play with my friends so my shoes don’t come off when we’re playing tag! And I’ll take it off when go and have Sunday lunch with my grandparents so I look as good as I can! 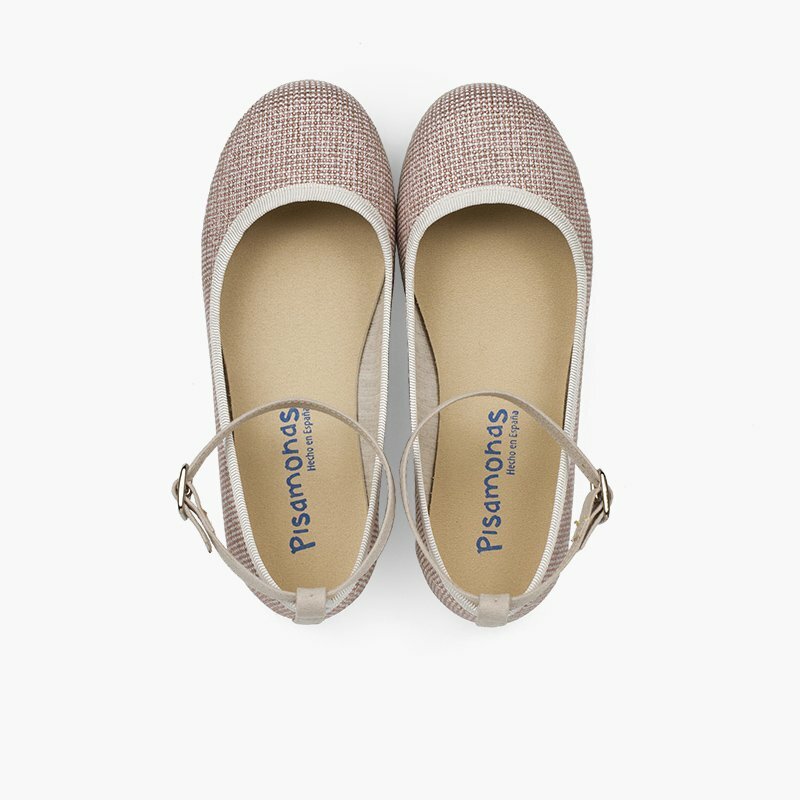 The shiny material gives these flats a special glitter, perfect for events and dressing up this spring!